Hannah Arendt caused a stir in 1961 with her reportage about the Eichmann trial in Jerusalem. Her book Eichmann in Jerusalem: A Report on the Banality of Evil breaks with the notion that evil is the result of some demonically driven will-power. Eichmann appears simply as a bureaucrat who served as a cog in the machinery of extermination. There is a plaque in the Linden section of Hanover on the house at number 2 Am Marktplatz which reads as follows: The German-Jewish historian and political philosopher Hannah Arendt was born here on October 14, 1906. She fled National Socialism and left Germany in 1933. Her scholarly work is devoted to the study of the origins of totalitarianism and anti-semitism. She died on December 4, 1975 in New York. Hannah Arendt's maternal and paternal ancestors were Russian Jews sympathetic to the German Enlightenment, who had come to Germany during the 18th and 19th centuries. They settled in Königsberg as merchants. Hannah Arendt's parents had moved to Hanover when her father took a position with an electric company as an engineer. But by the time Hannah Arendt was three the family moved back to Königsberg—her father had become seriously ill—where their closest relatives still resided. She grew up an only child in the house of her respected and well-to-do grandfather. Her father's early death occurred around the beginning of her school years. Arendt attended university in Marburg, Freiburg, and Heidelberg, where she studied philosophy under Heidegger, Husserl, and Jaspers; she wrote her dissertation under Jaspers on the topic “The Concept of Love in Augustine.” Martin Heidegger admitted later that the brilliant young student Hannah Arendt had been the inspiration for his book Being and Time. The love affair, which ended unhappily for Hannah Arendt, led her to an intense confrontation with and reflection about her German-Jewish identity. 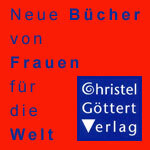 In 1929 she escaped into a marriage with Günther Stern (pseudonym: Günther Anders) and moved to Berlin. There she wrote her book on Rahel Varnhagen, with whom she strongly identified. After Hitler's rise to power Arendt's and Stern's apartment became a shelter and hiding place for fugitives in transit as they fled Nazi persecution. Stern emigrated to Paris, and Arendt followed shortly; soon, however, she separated from her husband. Her involvement with Judaism and her practical work for Jewish aid organizations had politicized her. 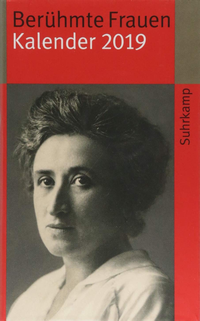 Her acquaintance with the politically persecuted emigré Heinrich Blücher, member of the German Communist Party and Arendt's future husband, stimulated her to become involved with Marxism and political theory. She published the results of her theoretical reflections as the three-volume Origins of Totalitarianism– a classic of political philosophy. In 1940 Arendt was taken to the infamous internment camp at Gurs, near the Pyrenees. At the last minute she was able to avoid deportation to an extermination camp. Together with her mother, whom she had been able to bring to Paris from Königsberg in 1939, and her husband Heinrich Blücher Arendt made her way in 1941 via Lisbon to New York. After many initial difficulties she was able to find work as a journalist and became the lead editor of a large publishing house. She wrote polemical articles aimed at informing and awakening public opinion concerning the Nazi persecution of Jews. Before long Hannah Arendt had made a name for herself in the U.S.A. as a political philosopher; she held professorships or guest-professorships at several universities including Princeton, Harvard and Berkeley, was invited to deliver lectures and seminars abroad, and received numerous honors including ten honorary doctorates. In 1949/50 she returned to Europe for the first time. Renewed aquaintance with Germany filled her with grief; she found the lack of political reflection concerning the past horrifying. Throughout her life Hannah Arendt always followed and analyzed the political events of the day. She stated her views succinctly and passionately and so inevitably received her share of public criticism. Her thinking is solid and original, but betrays traces of the elitist tradition of German academic philosophy. Hannah Arendt was an elitist rebel. She had little interest in the women's movement, and her meeting with Simone de Beauvoir was polite but cool. In her honor the city of Hanover has named the Hannah-Arendt-Way in Badenstedt (in 1986) and the Hannah-Arendt-Path in the Maschpark (in the 1990's); in addition there are the Hannah-Arendt-Days and the Hannah-Arendt-Stipendium. With the latter Hanover—as a City of Asylum in the network of cities organized by the International Parliament of Writers –provides support to persecuted writers. Arendt, Hannah. 1963. Eichmann in Jerusalem. A report on the banality of evil. London. Faber & Faber. Arendt, Hannah. 1973. The origins of totalitarianism. New edition with added prefaces. New York. Harcourt Brace Jovanovich. Between friends. the correspondence of Hannah Arendt and Mary McCarthy 1949-1975. Edited and with an introduction by Carol Brightman. London. Secker & Warburg 1995. Ettinger, Elzbieta. 1995. Hannah Arendt, Martin Heidegger. New Haven. London. Yale University Press. Young-Bruehl. Elisabeth. 1982. Hannah Arendt: For love of the world. New Haven. London. Yale University Press.